It was the coldest winter ever. Many animals died because of the cold. 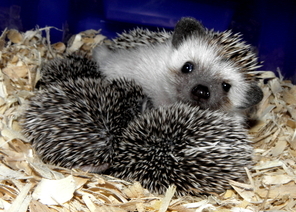 The hedgehogs, realizing the situation, decided to group together to keep warm. This way they covered and protected themselves; but the quills of each one wounded their closest companions. After awhile, they decided to distance themselves one from the other and they began to die, alone and frozen. So they had to make a choice: either accept the quills of their companions or disappear from the Earth. Wisely, they decided to go back to being together. They learned to live with the little wounds caused by the close relationship with their companions in order to receive the heat that came from the others. This way they were able to survive. The best relationship is not the one that brings together perfect people, but when each individual learns to live with the imperfections of others and can admire the other person's good qualities.